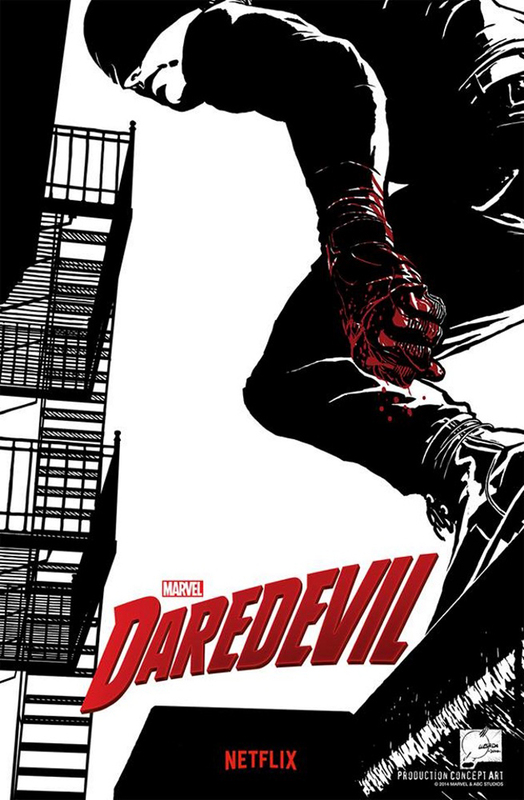 Daredevil is Marvel’s latest installment, this time in the form of a Netflix exclusive 13-episode TV show. The first of 5 such shows on Netflix features Lawyer Matt Murdock (played by Charlie Cox) who was blinded as a child and now uses his heightened senses to help stop crimes as, under what the media call him, Daredevil. His law partner Foggy Nelson (Elden Henson (Fulton Reed on Mighty Ducks)) and secretary Karen Page (Deborah Ann Woll) are his law associates fighting the crimes from a legal perspective. But the big picture here is the fight of Daredevil to face off against Wilson Fisk (Vincent D’Onofrio) who is trying to make Hell’s Kitchen (New York City) a better place. From amazing fight scenes to handing down the law this show is packed with action throughout the episodes. And it will most definitely leave you wanting more when you finish. The worst part is: This show is not scheduled for a Season 2……Let me explain. Netflix is signed up for Daredevil, Jessica Jones, Luke Cage, Iron Fist, and The Defenders. The Defenders is set to feature all four of the previous characters, similar to how The Avengers movies featured all the lead characters from previous solo movies. This obviously is a great problem for a show to have: Immense fan base, an amazing show, and great reviews. But with the bar set so high, will the other shows be able to keep up the pace? And will Netflix+Marvel cave and do it Iron Man style and have multiple seasons of Daredevil before The Defenders shows up? One big difference, that many non-Marvelverse fans will enjoy, is that you don’t need any prior knowledge to understand this show. No random references to “Tesseract” or other confusing Marvel terms you may not know, but at the same time they keep the string within the universe with references to things like “magic hammers” (Thor reference). If you want a much more in depth review, which will spoil a lot more of the show, and won’t offer the fluffy overviews I give, I recommend Vanity Fair’s writeup HERE. Another great Marvel production. Another great Netflix production. Gets a rating of 9.5 out of 10. It really is a fantastic show. Definitely my favorite Netflix series. I would be surprised if Daredevil didn’t continue in some way, considering its success. And now that Spidey is in the MCU, I’d be surprised if Matt, Ben, or Kingpin didn’t show up in the next Spiderman movie. Following up to my post… Daredevil is just two years away in The Defenders. I believe Jessica Jones is in the fall, and two more shows next year. So we’ll see him back in April 2017. Unless he shows up in one of the other shows. Luke Cage will be in AKA Jessica Jones.